I’ve got to admit I squeed a little—okay, a lot—when I saw Silver Scars was nominated for Best Main Character in the Goodreads M/M Romance Member’s Choice awards. It has already been a very good year for my book that deals with learning how to live and love again after disaster and a mental breakdown. 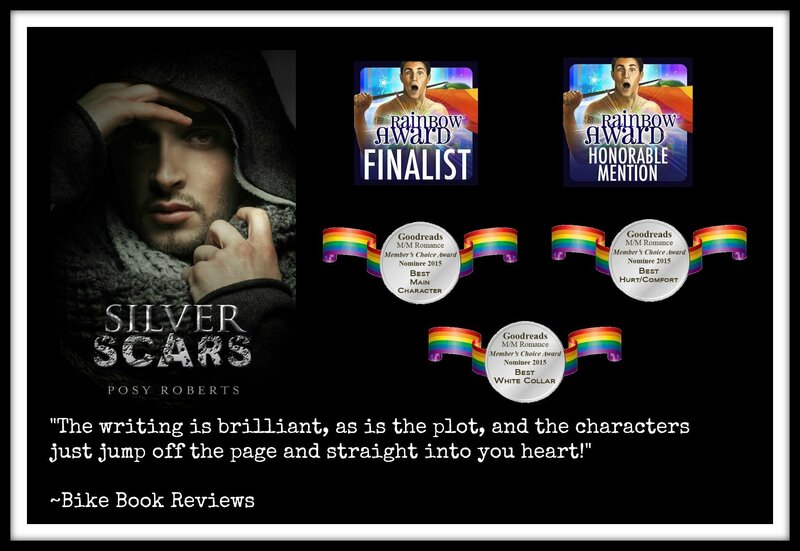 Silver Scars had already been awarded a Rainbow Award Honorable Mention and was a Finalist, so to see the nominations for the Member’s Choice Awards was like icing on an already delicious cake. I’m thrilled about the Best Hurt/Comfort category, because that is truly what I write. I enjoy writing about people overcoming pain and challenge in their lives. Writing Silver Scars was a labor of love for me. I wrote to celebrate the strength people have who live with chronic conditions, because so much of that strength is hidden away behind stoic faces and pinched of words. Every day people get up, face the world, and mingle, usually without anyone knowing of their pain or suffering. I happen to be one of those people who lives with several chronic conditions, so yes, I pulled a lot of my own experiences into Gil and Keith. I exposed parts of myself in this book that I usually keep to myself. So to see it celebrated makes the awards and nominations all the sweeter.